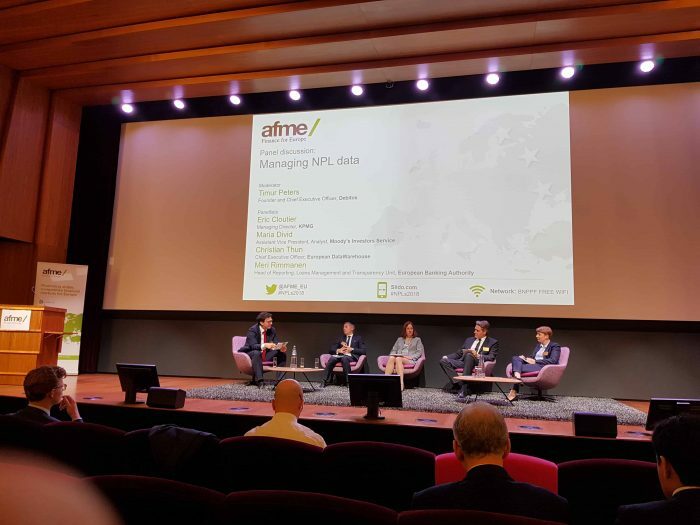 Informative, complex and enhancing: The “AFME’s European NPLs Conference” on May 22, 2018 in Brussels has provided a timely overview of the challenges the Eurozone is confronted with, especially the high level of non-performing loans (NPL). More than 150 participants took part in the discussion about the latest European regulatory initiatives on NPLs and the current Action Plan of the European Council. Timur Peters, CEO of Debitos, is pleased with the result of the event: “The Conference was a great success. The participants got in contact with the financial experts of the leading entities of the European financial policy.” The NPL Conference has been organized by AFME and sponsored by Debitos. For more information, please visit the homepage of AFME.